Gurdas Dhadwal took on the privilege and challenge of being the President of the Sandwell Lions Club last July. This week, at the Sandwell Lions meeting, the team had a visit from the District Governor Stewart Sherman Kahn. Gurdas was thrilled to be commended by the District Governor and awarded a badge for his services to the Sandwell Lions. Sandwell Lions, is a local charity run by volunteers dedicated to serving the needs of the local community. Set up in 2009, it serves the six towns that make up Sandwell, and is part of the Lions Club International, the largest service organisation in the world. Originally set up in 1917 to help people with sight problems and blindness, the charity has already improved eye health and eye care in particular for hundreds of millions of people around the world. However, the charity continues to grow with the Lions Club International aiming to impact over 200 million lives through service by 2020. Gurdas and his Lion’s in Sandwell help to do this by supporting a range of people across the country and the world. 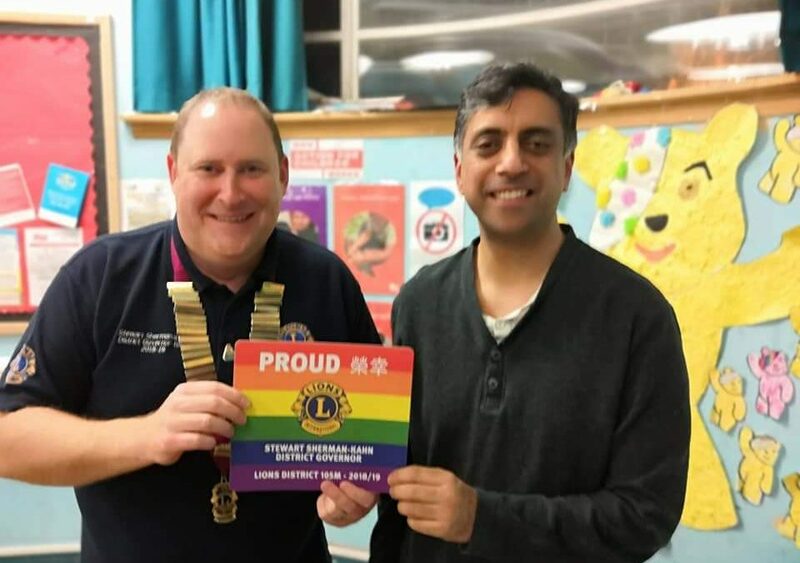 As you may have seen in our previous post about the Sandwell Lions, whilst Gurdas has been volunteering with them he has, amongst many things, participated in fundraising, welfare and social activities. Most notably Gurdas has worked to support the local food bank, helped the Friends of the Thimblemill Brook with litter picking, and personally visited Guru Nanak Mission Netarheed Birdh Ashram in Punjab, India to donate to the residential educational facility for blind people across Punjab. Gurdas joined the Sandwell Lions to selflessly help others and, as President, is supporting the charity and its members to give back even more to those in need locally and further afield, to allow individuals to realise their full potential.